Toul Meditech is an innovative Swedish company that works within the field of infection control. With its own developed product portfolio of mobile units that provide ultra clean air in OR:s during surgery, the aim of the company is to furnish the health care society with a solution to the problem referred to in the quotation of a prof. Whyte in 1973 “Everything which is to come into contact with the wound has been made sterile, except the air, which is in contact with everything”. The products eliminate airborne contamination during surgery and with that, decrease the risk of postoperative infections. All products are manufactured in Sweden. Prevention and cure of surgical site infections (SSIs) place an enormous burden on medical and financial resources, both during surgery and post-operative hospital care. SSIs generate costs for society and significant suffering for patients, often involving prolonged periods of hospitalization, which in turn create additional costs. The introduction of stricter hygiene requirements and regulations has made some improvements, but the problem is still a major cause for concern. A primary cause of SSI is airborne contamination from bacteria-carrying skin particles which can sediment on surfaces sensitive for surgical asepsis. Typically, around 50-200 colony forming units per cubic metre (cfu/m3) of air are found in conventionally ventilated operating rooms. The most common source of bacteria is considered to be the operating theatre personnel working in close proximity to the site of the operation. 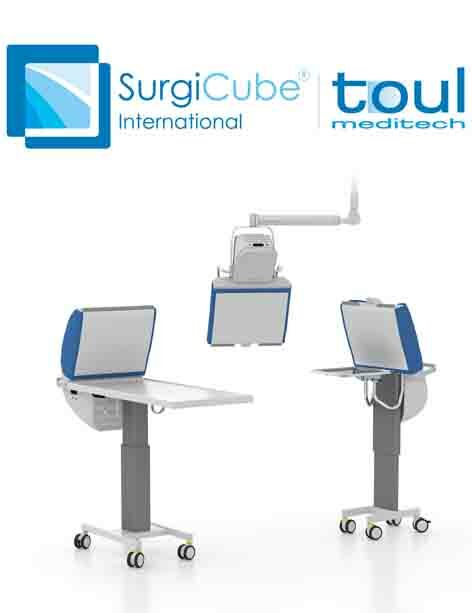 Toul Meditech mobile laminar airflow units have been used in Scandinavia since 2003, providing an ultraclean, horizontal flow of air directly over the surgical site and instruments and acting as a barrier to minimize the presence of bacteria-carrying particles. Toul Meditech systems are ready for use following delivery and a minimal installation and can be used in different locations within a hospital or shared between hospitals. The installation of Toul Meditech units has far-reaching benefits, not just in patient healthcare, but in the financial sector of the hospital. Altogether the payback time is very short - avoid one infection and the investment has paid for itself. The installation of Toul Meditech systems is a ‘money-saver" for hospitals and for insurance companies - shorter hospital stays, no re-operations, no unnecessary patient suffering caused by infections and no loss of income. The increased number of operations due to a faster flow of patients is also a ‘money earner' for private hospitals and insurance companies. Every infection creates unnecessary suffering for the patient and significant cost for the hospital.